AUBURN HILLS – Dwane Casey’s evolution as a coach goes much deeper than his embrace of analytics and its impact on how he designs his offensive and defensive blueprints. It’s also in the way he interacts with players. So in mid-October with the season opener still two days away and the last game three days in the rear-view mirror, a younger Dwane Casey would have had a marathon practice. On Monday, the Pistons went for an hour and 20 minutes before breaking into individual skill drills for most players and a three-on-three, half-court scrimmage for some of the younger guys. The bonus is that with a shorter practice, players are more apt to go at peak intensity and more closely approximate game conditions to maximize the value of every practice minute. Casey solicits input from his veterans – he ticked off the names of Drummond, Blake Griffin, Reggie Jackson, Ish Smith, Zaza Pachulia and Jose Calderon – to gauge the physical and mental state of the Pistons and goes from there. There’s a flow to Pistons practices. Drills are brisk and then it’s on to the next item on the agenda. Casey also expects that players put in their share of work before and after practices with a heavy emphasis on 3-point shooting for all players. Younger players get their work in before practice, veterans after. Drummond spent a good deal of time after Monday’s session, as has become his norm, with player development guru Tim Grgurich. At 61, Casey came of age in a generation where players responded to coaches with a “yes, sir; no, sir” demeanor, so it was no small thing for him to cede the control that comes with lengthy practices heavy on painstaking detail. 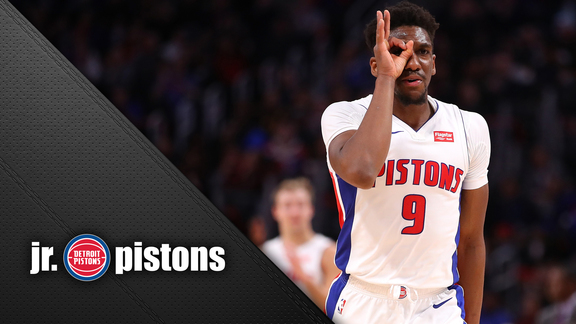 With the caveat that the Pistons remain undefeated and Casey has yet to disappoint anyone on the roster with his playing-time decisions, there’s a palpable positivity to the Pistons aura going into the season.